of the centuries of Italian culture, cuisine and art. 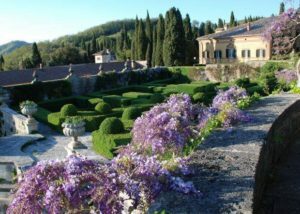 A unique opportunity to do so occurs once a year with the special opening of privately-owned gardens and courtyards of by the Association of Italian Historic Dwellings (A.S.D.I. ), which will take place in 2016 on Sunday, May 22. Admission is free and hours are 10 am – 1 pm, 3 – 7 pm. North of Florence, castles and villas await the visitor. There will be access to the sanctuary, grottos and hermitage of the Monte Senario sanctuary, and the Villa di Bivigliano has prepared creative cooking demonstrations highlighting herbs and edible flowers. Siena, Lucca and Pisa will also present unique opportunities to discover hidden green spaces and architectural gems. The Trebbio Castle is also offering visits to the wine cellars and wine tasting. 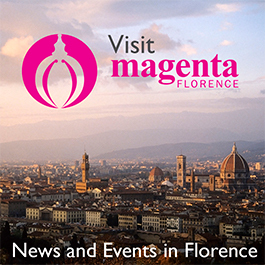 In the Tuscany, 82 parks and ancient buildings will welcome visitors on this special day. Below are some of highlights. Villa Torrigiani Malaspina (piazza Vittorio Veneto – Montecastello, Pontedera) Open from 10 am- 1 pm and 2 -6 pm. Music from the 18th – 19th century will be performed by the Chi Vuol Esser Lieto Sia ensemble. In the historical city center of Pisa guided tours will be provided to the hidden gardens of the town by the City Grand Tour Association (adult €10, €6 for members, free under 14). The visits start at 10:30 am and 3:30 pm from the Fontana dei Putti in piazza dei Miracoli.